Lasse Hallström the film director from Stockholm known for works as ¿What’s Eating Gilbert Grape? 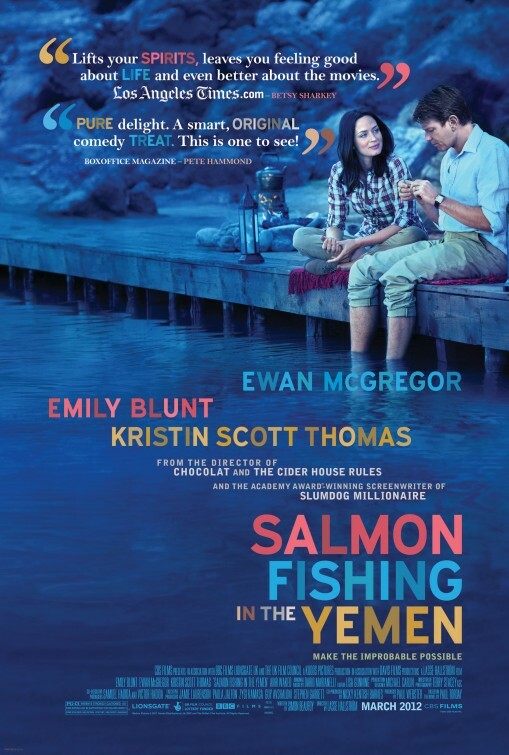 and Dear John, in 2011 brought to the screen the dramatic romantic comedy Salmon Fishing In The Yemen adapted from the eponymous book written by Paul Torday, It tells the story of Alfred Jones and Harriet Chetwode-Talbot characters that meet when an amateur fishing sheikh decides to carry salmon to the rivers of Yemen in order to be able to fish and at the same time to benefit to his community, Jones will be responsible for making possible the feat and Chetwode-Talbot of all the logistics, in the course of the days Alfred and Harriet unwittingly built a very particular relationship, however, both are committed. As a spectator it is difficult to imagine what can be expected of a title as this, it’s a little confusing, but if there’s people making golf movies ¿why not of fishing? However, in this film the fishing is not the main subject, is a common thread and the main characters are hanging from it, in reality, well viewed is a beautiful story about how you construct love and friendship, how the people meet and also about love towards a project, idea or dream that you want to become a reality. 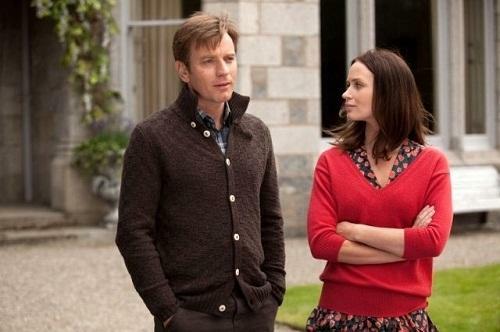 The performances are very delicate, Ewan Mc Gregor and Emily Blunt are the main roles. McGregor seems to be the same as ever, but no, his role of Alfred Jones is well-calculated: The scientific attitude mixed with Asperger syndrome leads him to build a complex character but highly practical and credible, perhaps one of the great qualities of the scottish is that never exaggerates or oversteps his roles. By the side of Blunt we are faced with something similar to what she always does, not because the actress missing versatility, perhaps the subject is situated in the roles she chooses or for which she is selected, is a great actress and in this case is very moving, but she needs more projects that exploit her talent like her participation in the Devil Wears Prada. Kristin Scott Thomas is responsible for the humorous part of the film excellent challenge for the actress to make comedy from the coldness of her character. Zerorojo Recommends it! Salmon Fishing in the Yemen, does not have the ever-present issue, is entertaining, it also has a very nice photography and quite emotive, reflexive and solid scripts. Lasse Hallström el director de cine procedente de Estocolmo conocido por trabajos como ¿What’s Eating Gilbert Grape? y Dear John, en 2011 trae a la pantalla la comedia romántica y dramática Salmon Fishing In The Yemen adaptada del libro homónimo escrito por Paul Torday, narra la historia de Alfred Jones y Harriet Chetwode-Talbot personajes que se conocen cuando un jeque aficionado a la pesca decide llevar a los ríos de Yemen salmón para poder pescar en ellos y al mismo tiempo beneficiar a su comunidad, Jones será el encargado de hacer posible la hazaña y Chetwode-Talbot de toda la parte logística, en el transcurso de los días Alfred y Harriet construyen una relación muy particular sin proponérselo, sin embargo, ambos están comprometidos. Como espectador es difícil imaginar qué puede esperarse de un título así, es algo confuso, si hacen películas de golf ¿por qué no de pesca? No obstante, en esta película la pesca no es el tema principal, es un hilo conductor del que penden los personajes principales, en realidad bien vista es una bella historia sobre cómo se construye el amor y la amistad, cómo se conocen las personas y también sobre el amor hacia un proyecto, idea o sueño que desea hacerse realidad. Las actuaciones son muy delicadas, Ewan Mc Gregor y Emily Blunt tienen los roles principales. McGregor parece el de siempre, pero no, su papel de Alfred Jones está bien calculado: la actitud científica mezclada con el síndrome de Asperger lo llevan a construir un personaje complejo pero sumamente práctico y creíble, tal vez una de las grandes cualidades del escocés es que nunca exagera o extralimita sus roles. Por el lado de Blunt nos encontramos con algo similar a lo de siempre, no porque a la actriz le falte versatilidad, tal vez el asunto radique en los roles que escoge o para los que es seleccionada, es una gran actriz en este caso es muy conmovedora, pero necesita proyectos que exploten más su talento como su participación en The Devil Wears Prada. Kristin Scott Thomas es la encargada de la parte humorística de la película excelente reto para la actriz hacer comedia a partir de la frialdad de su personaje. Zerorojo recomienda Salmon Fishing In The Yemen, no tiene el tema de siempre, es entretenida, además tiene una fotografía muy agradable y unos guiones bastante emotivos, reflexivos y sólidos.